Patent Registration in Peru – Patenting Products or Inventions. Home/Patent Registrations – Patenting ideas, inventions, products or designs./Patent ideas international/Patent Registration in Peru – Patenting Products or Inventions. The administrative authority of industrial property in Peru, which has, among others, the responsibility to register patents of inventions is the National Institute for the Defense of Competition and Protection of Intellectual Property (INDECOPI, in Spanish). Filing of the application in the Patent and Trademark Office of Peru, comprehensive of all the necessary documentation and the payment of the appropriate fee. Formal examination. Within approximately 1 month, the Office will make a preliminary examination in order to verify if the application meets the formal requirements. 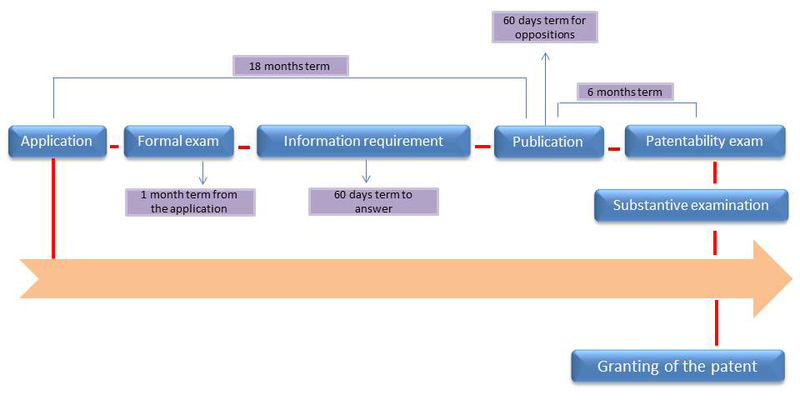 If the information and documentation are not complete to continue with the process, the Office will make a request for information, which must be answered within 60 working days. If the application is not corrected or supplemented, shall be declared abandoned and lose its priority. Publication in the Peruvian Gazette of Industrial Property, within 18 months from the date of application. The publication opens a 60-day period for oppositions. If oppositions are filed, it opens a period for discussions; if there are no oppositions, the Office shall carry out a final review and decide whether to grant or deny the patent application. Application for the patentability examination. Note that for the process of registration of a patent in Peru is necessary to apply for this test, which can be done within 6 months from the date of publication, and can be performed even in case of objections. Substantial examination. The patentability of the invention is determined. The average duration for a patent process in Peru goes from 4 to 5 years, depending on the specifics of the cases, and is valid for a non-extendible period of 20 years. Besides, during the 20 years, annual payments must be done for the maintenance of the patent´s rights. Why choosing Protectia for the registration of a patent in Peru? Resources and experience: we have powerful informatics resources along with the expertise of our professional, essential to advise, develop and manage the protection of inventions in Peru. Personal treatment: in Protectia we support our clients in a completely personalized way throughout all the process of patent registration in Peru.